Rinse and pat dry 2 lbs. of salmon fillets and place in a glass dish skin- side down. Mix 1 tablespoon of kosher salt (reserve 1 teaspoon) with the remaining ingredients together and sprinkle over the fillets. I gently push the cure into the fillets, cover and place in the refrigerator overnight. The next day, a couple hours before you want to smoke the fish, you soak the wood chips in water. A half-hour before you are ready to cook; prepare the grill (or smoker). Take the grate off and place a double-layer of charcoal on one side of the grill and light. Let them burn until they are gray on the outside and red-hot on the inside. When the charcoal is ready, sprinkle 1/2 of the soaked wood chips on the hot coals (it will smoke). On the other side of the grill, place the foil pan and add one cup of water. Place the grill grate back over the coals and pan. Scrape most of the dry cure off the fillets and sprinkle with the reserved teaspoon of salt. 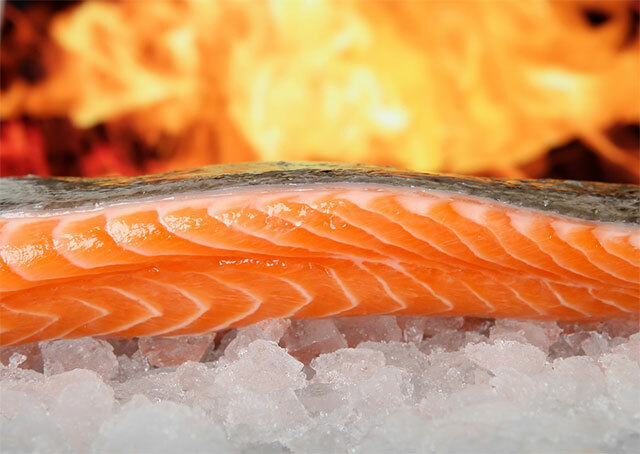 Place the salmon skin-side down on the grill over the foil pan with water. Open the top and bottom vents on the grill and cover with lid. Smoke for 10 minutes. Take the grill grate off again and add the remaining soaked wood chips on the coals. Cover again with grate and cook until the fillets are firm to the touch and barely cooked; approximately 5 to 10 minutes more. Be certain to check firmness often because if you overcook it the salmon will be dry. Place on a plate and cover immediately with foil. Allow to rest for ten minutes. Remove foil and discard skin. It's ready to eat hot or use it when it's cooled down in the salmon spread recipe above. For more fish recipes, please visit //www.misshomemade.com.